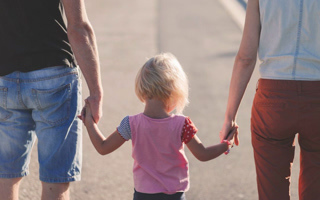 Sometimes parents can lose sight of the small occurrences that can lead to large rifts and irreversible harm when trying to exist in a separation involving children. If each party remembers the following simple rules then co-parenting effectively, post-separation will be maximised. Treat the other parent with respect Do not speak down to them or unduly criticise them – it is not going to usurp your position to treat the other parent’s position with respect even if you don’t agree with it. Treat the other parent as you would like to be treated Agree to have a communications book. Nobody likes receiving critical notes about their parenting ability in a communications book, nobody likes to be yelled at, abused, denigrated, sworn at or just plain ignored. If you would not like to be subjected to this treatment, do not subject somebody else to it. Be Inclusive If a note comes home from school, put a copy of it with your child’s bags for contact changeover, if they have received an award be sure to mention it to the other parent (even if they seem uninterested – at least you tried!). If something happens with your child when they are in your care mention it to the other parent or put it in your communications book for them to read – even a funny little anecdote about something they’ve done or some funny thing they said – this helps take the focus away from the dispute and reminds you both about the most important thing – your child. Take a Step Back and a Deep Breath before responding Do not respond in the heat of the moment to a proposal, criticism or suggested idea, as this is when the most hurtful statements are said. Try to think about how you would have resolved these issues when you were in a caring, happy relationship and try to apply those steps now. Be Child Focused Remember that at the root of any proposal, the basis of any response should always be formed by what is in the best interests of your child. Put yourself in the Other Parent’s shoes He/she has not seen their child for 2 weeks, what does another week really matter? How would you like to be on the opposite end of a statement like this? How would you feel if you only had that amount of time with your child? Sometimes it helps to take 5 minutes imagining that you were the opposite party in the scenario and how that person may be feeling. Be Encouraging Parents have a positive obligation to encourage and support their child’s relationship with the other parent and their extended family. No matter how much it might gall you to do so you must actively and positively encourage such a relationship. Enrol in a positive parenting course and a parenting orders course These are designed to provide separated parents with the correct tools for managing their relationship with the other parent and also how to appropriately deal with children when separations occur.